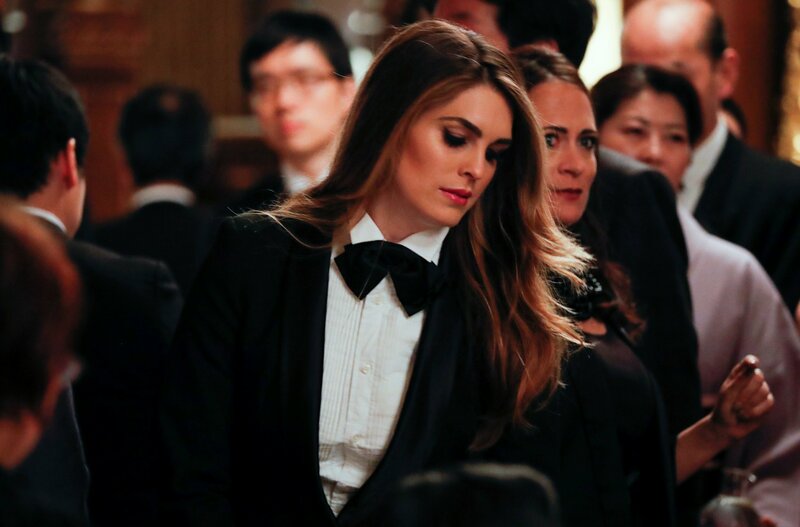 Hope Hicks, the former model and the youngest ever communications director of White House have confirmed to leave her post as she is sometimes blamed for white lies to Donald Trump. The 29-year-old advisor has confirmed her resignation on the late days of Feb 2018 who was known to be a loyal advisor. The former model and White House former director Hicks who is the longest-serving advisor of Donald Trump is soon officially leaving her post only after serving for six months as a permanent advisor. The trusted advisor was also called Trumps "Real daughter" as Trump wanted to be real close to Hope. She was a model, actress, and lacrosse player as a child and had no idea about politics until she started her job as Donald Trump's advisor. However, the young and the talented communicator of White House who joined Donald Trump's campaign in 2016 with no experiences in politics was well known as one of the few advisors that could challenge and change the views and decisions of Trump. She was very familiar and understood Trump's personality and styles. The resignation of Hicks came forward after one day when Hicks was testified for nine hours as part of the Russia investigation before the House intelligence committee. Hicks told she had not lied about anything relevant. She has lies, but she has no lies about the important information and facts that Trump needed to know. Hicks had aggressively defended the president and his team against the charges of inappropriate ties to Russian charges. Hicks confessed that she had “no words” to express her respect to the president, who responded with his own statement, where Trump said that Hope is outstanding and performed her great work for last three years. He added that she is smart and thoughtful, and truly a great person. He would miss her having by her side and expressed his hope for working together again in the future. Hicks through her speech said,There are no words to adequately express my gratitude to President Trump. I wish the President and his administration the very best as he continues to. However, being the advisor of the most powerful and the most important person in the world Hicks might not be worried about her salary which would make her decision for the resignation of a world-class and challenging job. Hope doesn't look very active with social media, as tweeter has also suspended her, have no much information about her in the social media. It looks like a former model and president Trump's advisor Hicks does not want her information out in the media or might be of her challenging job; she is hiding from the public as she was not even seen frequently in the screen.